fabric is torn on one seat. 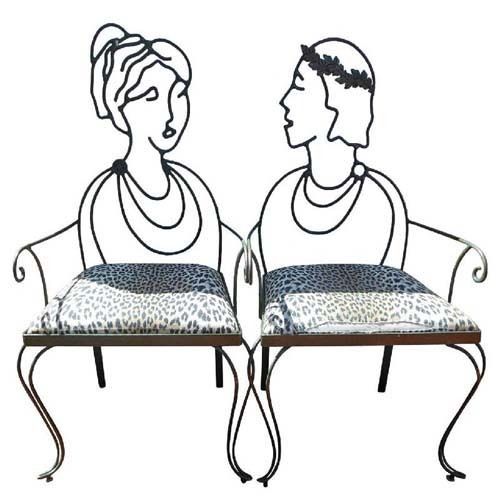 A wrought iron pair of chairs. The chairs are most unusual and distinctive. The backs of each chair is a portrait, one of a woman and one of a man. The chair with a female with her hair in a ponytail. The male chair with a man with long hair and a wreath in his hair. The first leaf in his headdress is slightly bent forward. The chairs are signed on the rear seat rail "Pat Carpenter."